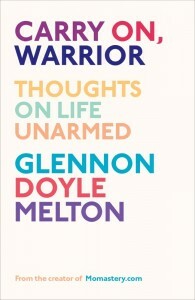 Have you heard of Glennon Doyle Melton? I'll be honest, before I started reading Carry On, Warrior I had not. I simply accepted the book offered to me by TLC Book Tours because it sounded like something I'd enjoy reading. Note: There are affiliate links throughout this post - shop through me and support my reading habit! And I'll admit, as I started it, I wasn't sure. Something was holding me back. There was detail, information, things that I wasn't ready to jump into. Apparently this Glennon Doyle Melton woman doesn't hold back. She speaks the truth. Her truth. Her mind and so forth. And then this weird thing happened. And suddenly her name popped up everywhere. What? This doesn't happen when I'm reading a book for review. More often than not people haven't heard of the book, or the author. They're nodding at me. Sure sure. Sounds interesting. Okay. Whatever you say. It's a lot to take in. A lot to talk about. She was interviewed in random places and I stumbled across her name in my Facebook feed. She's apparently well known. Except to me. Oops. But I kind of like it that way. No pressure. No reason to love her book because I already love her. It's a strange blogger's world out there, my friends. I tell ya. But seriously, I did enjoy this book. There were areas that were off for me - not 100% my kind of read when it came to certain topics - ie: there was definitely mention of G-d in the book. And while I'm not offended by that, I just didn't expect it. And when it appeared it kind of threw me. And as I got deeper into her story I read more about G-d and Jesus and that was not exactly what I expected, either. But these mentions are what makes Glennon who she is. And because of that OF COURSE they're included in her story. I'm cool with that. Definitely. I just wouldn't be me if I didn't mention it here. I love the thoughts she shares about motherhood. Thoughts on how to relay things to her children. One of the best things I have read from her happened to also be published over at Kelle Hampton's blog, Enjoying the Small Things. If you're asking who Kelle Hampton is, you need to check out my review of bloom. Immediately. But while digging up some info on Kelle I stumbled across this post on her blog. Yet another person talking about Glennon. Pretty awesome, especially when I read it and knew it already. Felt it deep inside. My heart swelled for her. Such incredible words. See them here: For Adam, by Glennon Melton. Then move on to how very open she is about her story. Her history. All that she's been through. Her health, her addictions, her illnesses, her life. Who she was. Who she is. Who she continues to become. Since I hadn't read her blog, I didn't know these things. Of course they're out there. Not all of them, but many. And now that I've gotten to know her, now is when I went to read her blog. Read her Meet Glennon page. Then you can decide for yourself if you'd like to know more. Get to know her better. And if you do - well, guess what? Enter here! Today! I'm giving away a copy of Carry On Warrior. I hope you'll enter. To do so simply share with me one of your personal warrior moments in the comments. 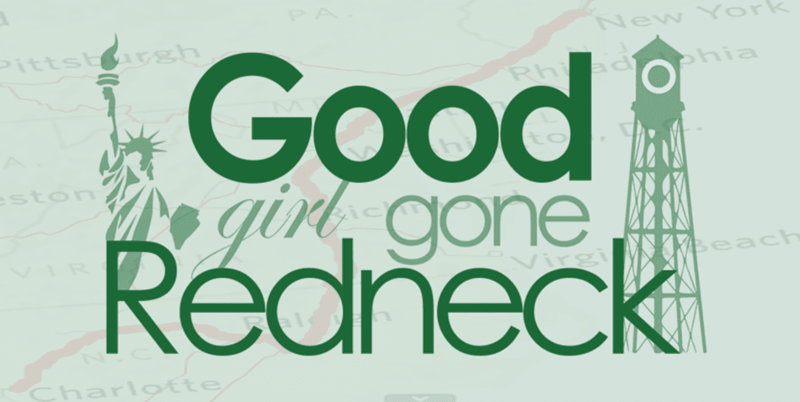 You can tweet, too, just be sure to cc me @goodgirlgonered so I know you're out there chatting this up. Provide the URL to the tweet in a separate comment and you're in for a second entry. Winner will be chosen with random.org one week from today. I came across her a few months ago. Some of her stuff I love, some (like the stuff you don't love) I don't, and some of it is overwhelming. So I wasn't sure if I wanted to read the book, but if you liked it I'd give it a shot. My warrior moments? Oh geez. Battling back from PPD would top the list. 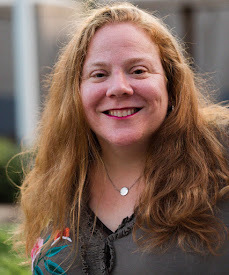 I have to admit that I hadn't heard of Glennon before this book tour, and after reading many of the reviews I thought I was the only who hadn't! I'm glad you enjoyed this book even though it challenged and surprised you. Thanks for being a part of the tour. I have been hearing so much about her lately, also and am really interested in reading her book. My husband and I went through a really rough patch last year. Right as things finally got back on track and we felt ready to move forward and begin trying for baby #3, I found a lump in my neck. Six months later, after having two tumors, my thyroid and many lymphnodes removed and recovering, I am doing much better and they believe I am cancer-free! Going through all of this with two little guys made it both easier and harder. Easier to push through and be positive, but harder to be apart from them and deal with the fear of leaving them.